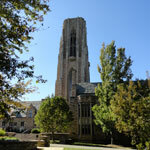 Concordia Seminary in St. Louis, Missouri, will launch a two-year initiative: “Science and the Pastoral Ministry: Preparing Pastors for Fruitful Engagement between Science and Theology.” The two-part program focuses on integrating science into certain core courses and supporting campus-wide efforts to promote discussions about science and theology. Through coursework, students will examine the findings, theories, methods, and assumptions of natural science and how they complement and integrate with scriptural teachings. Campus-wide events, including a theological symposium, days of theological reflection, and special lectures, will provide opportunities for the broader seminary community to explore the significance of science in pastoral ministry. Course Description Discussion of some key problems in preaching: relating to the Gospel meaningful to life, transposing the text to the present [cultural] situation, defining and confining the central idea, making abstractions concrete. Class criticism of videotaped sermons.